The crisis in Yemen cannot be settled without genuine dialogue between the warring parties. If the conflict persists, it will only lead to further destruction and thousands of deaths. It will widen the social and sectarian divide, giving al-Qaeda and other fundamentalist groups the opportunity to expand, control, and attract new followers. If such a solution is reached, a transitional process will then begin to preserve what remains of the state and get Yemenis back to normal life. The interview might disappoint those who see regional instability as their only chance to undermine the structure and concept of the state. Yemenis should seek to be governed by a legitimate civil state, and implement the political process in accordance with its rules and the constitution. There should not be any entity outside this state, threatening it or having greater powers. In his book dealing with the subject of human violence and collective aggressiveness, Antonini indicates that the real problem is never stopping wars but rather pushing people towards not wanting to wage wars. Hence, getting rid of weapons is not the only important issue. Knowing what will happen with the accumulated aggressiveness, when it will no longer be used for wars is as important. This article was first published in Al-Riyadh on Apr. 08, 2016. 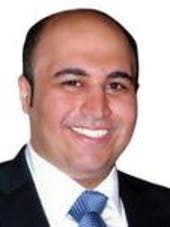 Hassan al-Mustafa is Saudi journalist with interest in Middle East and Gulf politics. His writing focuses on social media, Arab youth affairs and Middle Eastern societal matters.